Mainz - FC Schalke 04's will face his former club for the first time on Saturday when the Royal Blues travel to 1. FSV Mainz 05 on Matchday 5 (kick-off 15.30 CET). Szalai's new employers are certain to have their work cut out against a Mainz outfit who have taken maximum points from their two home games so far this season. Schalke, meanwhile, have failed to register a single point on the road, but die Knappen are in confident mood following their impressive win over Bayer 04 Leverkusen on Matchday 4. Mainz head coach Thomas Tuchel is eagerly anticipating welcoming Szalai, who has scored two Bundesliga goals so far this campaign, back to the Coface Arena on Saturday, but warned the striker not to expect any favours from his former team-mates. "We're happy to see him again," said Tuchel. "I'm looking forward to it, but he won't be receiving any gifts from us this weekend, that's for sure." Despite boasting a 100 per cent home record going into the match, Tuchel knows his side will have to be at their very best if they are to take three points from Schalke, who have been boosted by the recent acquisition of Kevin-Prince Boateng. "He is a huge signing for them," said Tuchel. "He brings an incredible individual quality to their side. It goes without saying we have to be at our best to get something from the game." Niki Zimling is out of Saturday's encounter after pulling a calf muscle while on international duty with Denmark. Zimling's absence might signal a return to the starting eleven for Maxim Choupo-Moting. 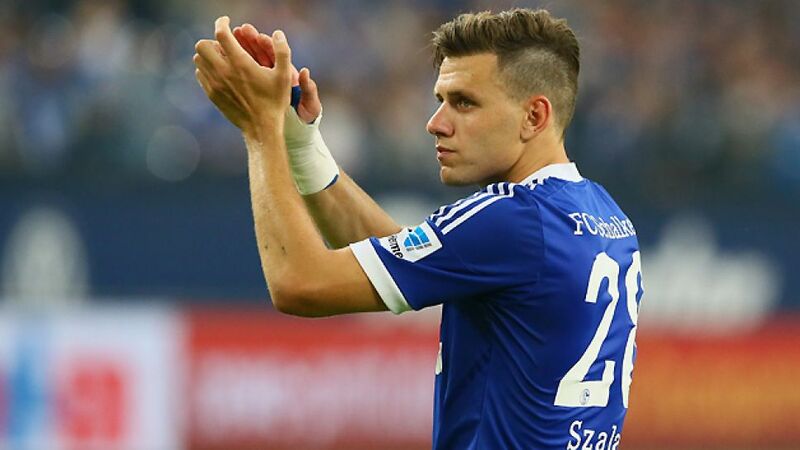 In-form Nicolai Müller will be hoping to add to his impressive tally of five goals in four Bundesliga matches, while Christoph Moritz is also set to face his former club after moving in the opposite direction to Szalai this summer. Defenders Christian Fuchs and Felipe Santana are both doubtful for the Royal Blues. Fuchs picked up a knock playing against Germany for Austria last week, while Santana has been suffering from a cold. Klaas-Jan Huntelaar has also failed to recover in time for Saturday's match. On a more positive note for Schalke, Benedikt Höwedes is set to return to the side after completing his one-match suspension for his red card against Hannover 96. After beating in-form Leverkusen, Jens Keller's side travel to the Coface Arena in good spirits. The Schalke head coach is aware of the increased levels of expectation at the Veltins-Arena following that victory, but is confident his side can pick up where they left off on Matchday 4. "We had a difficult start to the season," Keller admitted. "But we showed what we are capable of in the second half at Hannover and in particular in our win over Leverkusen." In last season's corresponding fixture, Schalke twice fought back from a goal down to earn a 2-2 draw. "That match was a turning point for us last season," said Keller. "That is why I'm confident we will get something from the game on Saturday." The 42-year-old also revealed Huntelaar, who injured his knee against VfL Wolfsburg on Matchday 2, should return for Schalke's UEFA Champions League match with FC Steaua Bucaresti on Wednesday. "We hope to have him back for that game," he said.